S&B Filters builds cold air intake kits and intake manifold elbows for many of today’s most popular diesel and gas powered trucks and SUV’s. For years they’ve sold an intake manifold elbow for 1998.5 to 2007 Dodge Ram diesel trucks with the 5.9L Cummins engine. 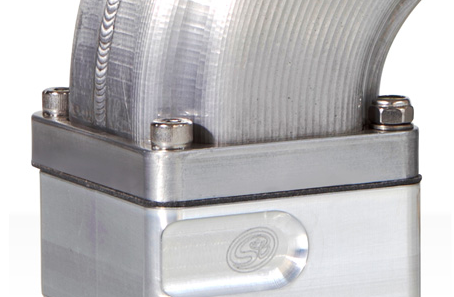 Their cast aluminum elbows provided large gains in airflow over the stock Cummins manifolds. With many thousands of these elbows sold and installed, S&B still wanted to make their product better, and they finally figured out a way to do it. They went back to the drawing board to come up with an even better improved elbow, and the result is impressive. 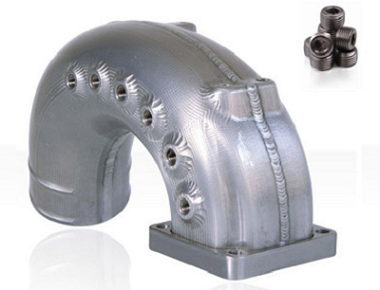 Rather than cast aluminum, their new version is fully CNC machine cut and TIG welded. Check out this beauty! S&B used advanced flow software technology to eliminate dead areas, streamline airflow and pinpoint optimal velocity. This new and improved model comes with features that diesel enthusiasts were asking for, like an almost ridiculous 8 ports. 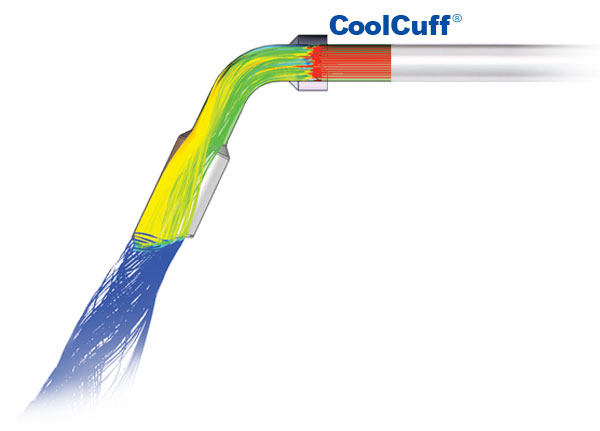 Now you can run water-methanol injection, nitrous, temperature sensors, whatever floats your boat. All eight ports come with an airtight plug. 8 Ports for Injection & Monitoring! Most aftermarket elbows attach to the intake by running two bolts through the interior of the elbow. This restricts airflow and hinders performance. 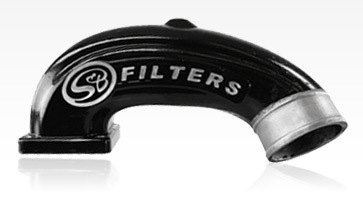 S&B Filter’s new elbow attaches with four bolts on the outside of the elbow. 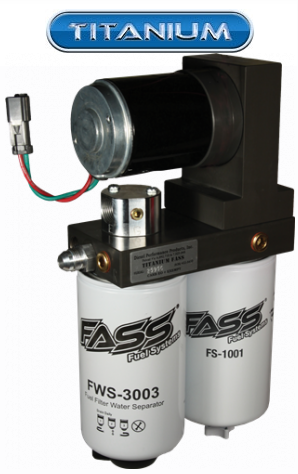 This results in a tighter seal, increased airflow and better performance. S&B Filters is a company that prides itself on testing it’s products both in-house and independently. 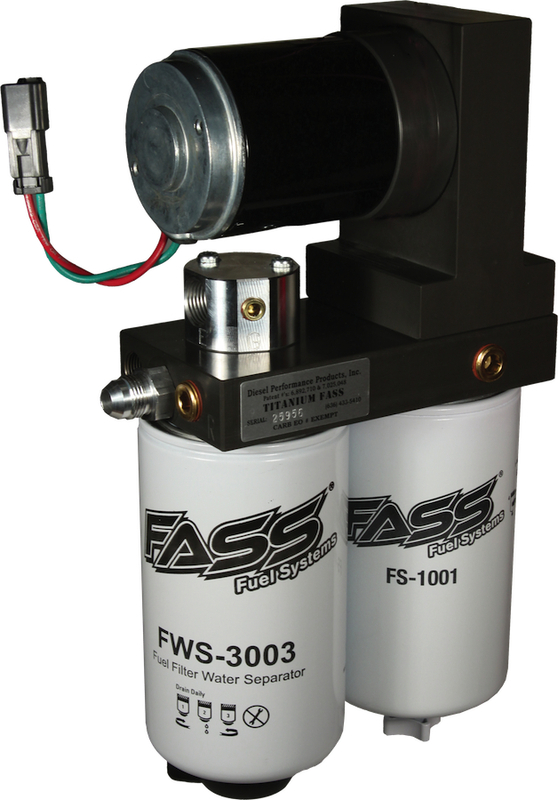 They have their products tested to ISO 5011 standards. On this elbow, they had it burst tested, and the results were impressive. For the test, both ends of the elbow were sealed, and water was pumped into the elbow until the point of failure. The result? 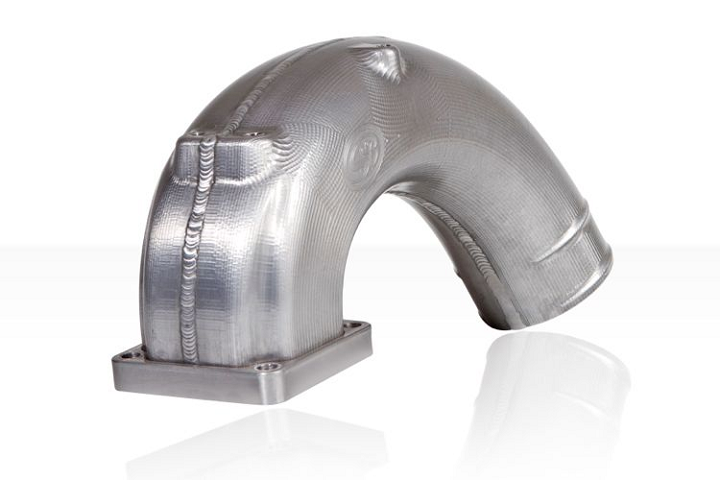 The S&B elbow withstood pressure of 300 psi before it cracked at the weld point. Even competitively raced diesels pushing 1000 horsepower would rarely see over 100 psi – mission accomplished. If you’re interested in adding these types of premium performance diesel parts to your Dodge Ram, you’ll want to pick the correct manifold elbow for your truck. If you have a 2003-2007 common rail 5.9L Cummins engine, the correct part number for your truck is 76-1004. 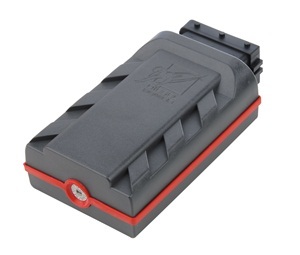 If you have a 1998.5-2002 24V Dodge diesel, you’ll need part 76-1007. For all your Dodge Ram Cummins diesel performance needs, trust the pros at Parleys Diesel Performance. Just a few quick notes and updates on Smarty Dodge diesel performance tuners. 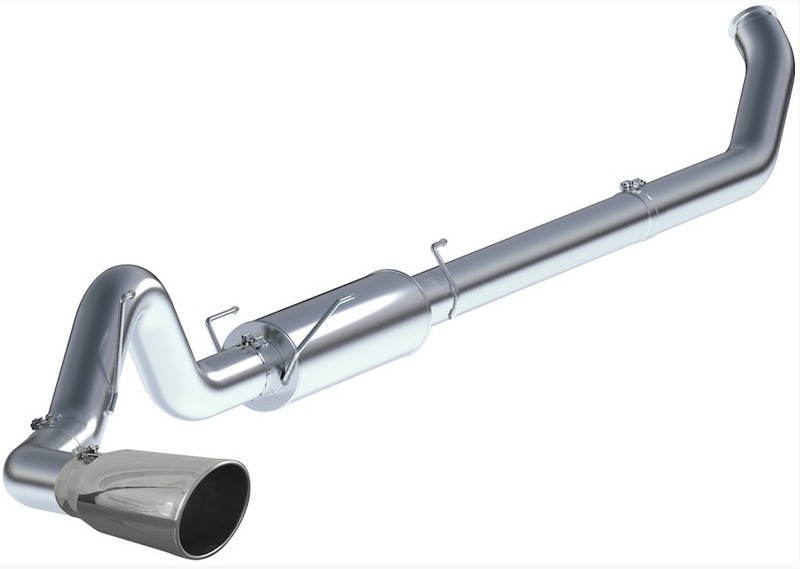 Currently, tuning is available on the 6.7L Cummins Ram trucks up through model year 2011. Smarty is currently working on tuning and is expected to release that tuning for the 2012 Ram 6.7L Cummins pickups in the next few months. At this time the only Smarty tuner that includes tuning for the 2010 and 2011 6.7L Cummins is the Smarty Junior tuner. The 2012 release is going to be on the Junior platform as well. Many of our customers want only the best Dodge diesel upgrades, and for that reason want to know if the new Smarty SSR is the “best” tuner for them. It is important to note that the Smarty SSR is for custom tuning only. If you don’t have access to a dyno and the time and patience to properly tune your Cummins engine, you’re doing yourself a disservice by purchasing the SSR. It does not come with any pre-loaded tunes – you have to build your own. And if you don’t know what you’re doing, it can be pretty easy to damage your diesel engine. Recently wholesale distributors of Smarty DPF Delete tuning products (specifically the S-67 PoD and the J-67 Junior tuners) made the decision to no longer ship these tuners out for sale with the dpf delete tunes installed. What this means is that if you’re looking to use your Smarty as a DPF Delete race tuner, you still can. You will, however, have to download the files from Smarty’s website. Here’s a link to the Smarty DPF Delete downloads. The process is a bit computer intensive, so if you’re not pretty computer savvy, we recommend you find a buddy who is to help you out. If you have questions about Cummins diesel performance or Smarty tuners, visit us on our website or give us a call. Visit Parley’s Diesel Performance for all your diesel performance parts needs. So the guys at Parley’s Diesel Performance just finished up a series of install videos. First on the docket is the CFM Plus Intake Manifold install on a 5.9L Cummins diesel. After having gone through and installed this Cummins intake manifold, we are very impressed with the quality of the product and that it comes with everything that you need–including 2 new factory gaskets.